A Google + post reveals that several Glass upgrades will be out this week. Google has dropped a major monthly update for its Google Glass eyewear, adding expanded hands-free functionality, increased sharing possibilities, and most importantly, a dedicated web browser. The first big upgrade adds more voice commands, such as asking Glass to read text messages out loud. 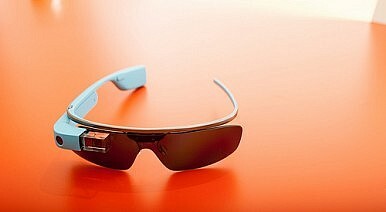 “OK glass, read aloud,” initiates the function, and “OK glass, reply,” allows users to dictate a response. Calls can now be answered hands-free by saying “OK glass, answer call.” Additionally, photos can be sent instantly by asking Glass to share with a specified contact. Changes are also coming in regard to how many people you can share with. Previously, Google Glass only allowed data to be shared with a user’s specified top ten contacts list. The July update will increase that number extensively. “Finally, users now have access to their entire Gmail contacts list, wiping out a silly ten-friend limit that was in place until now,” wrote The Verge. When a user searches for a website, they will be able to view and navigate the full site using the side-mounted touchpad integrated into the Google Glass eyewear. Swiping the touch panel back and forth will scroll the website up and down – doing the same motion with two fingers will zoom pages in and out. There’s even a way to scroll by moving your head. “Thankfully, there’s one tailor-made for those who generally feel impervious to embarrassment: users can pan around their favorite websites by touching two fingers to the touchpad and moving their heads to and fro,” TechCrunch reported. According to the Google + posting, Glass wearers will be able to experience these new functions very soon. “These updates will be rolling out automatically to your Glass over the next couple days,” it said. Developers may eventually be able to monetize their Google Glass apps.